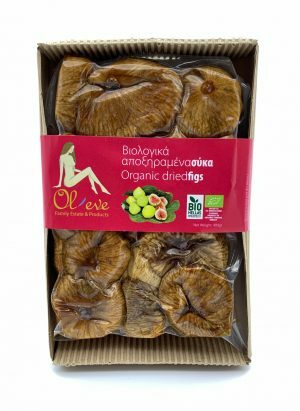 While some white figs contain ‘safe’ levels of sulphur dioxide (according to regulations), Ol-eve figs do not contain sulphur or any other chemicals whatsoever. We vacuum seal them, so they remain intact, full, and juicy. Lesvos was a major fig exporter a few years back, before swathes of trees were replaced with olives. But figs are back on the rise, and are starting to gain their fair share of attention again! Once solely preserved for the god Dionysus and ancient Olympic athletes, these days you’ll find a wide variety of figs across Greek and other Mediterranean cuisines. Not only do they taste great, but figs are one of the highest plant sources of calcium, iron, and fiber. They’re also packed with other good, healthy stuff — like copper, manganese, magnesium, omega 3 and 6, and vitamins K, A, B1 and B2 (!). And because of their laxative effect, figs offer a number of digestive health benefits! But that’s not all. They’re also used to treat impotence, to prevent coronary heart and cardiovascular diseases, and to reduce the risk of diabetes, hypertension, and bronchitis.